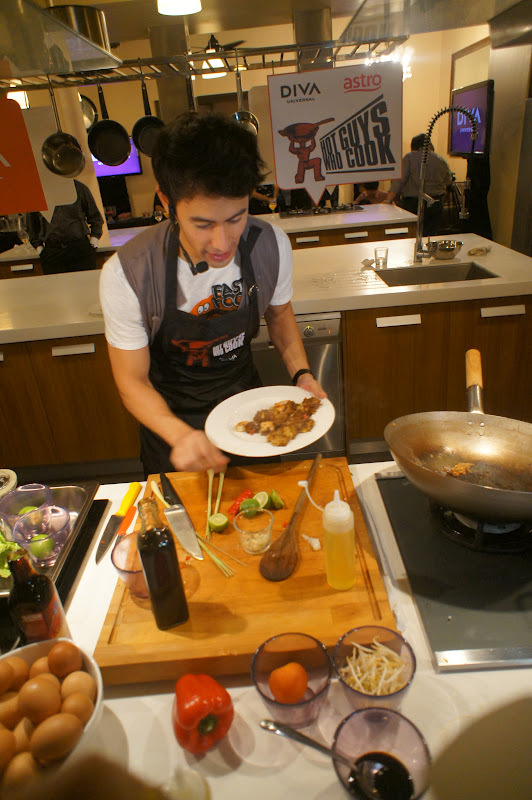 I was invited to the launch of DIVA Universal Hot Guys Who Cook last week at The Food Studio and boy is was smashing. Not only there’s hot guys, they are serving delicious food as well! The waiters are dressed in their pants and apron only, busy flexing their muscles while serving food the guest! The event was emcee-ed by the gorgeous newly wed Marion Counter and there 3 main hot guys of the evening was George Young, Josiah Mizukami and Henry Golding. 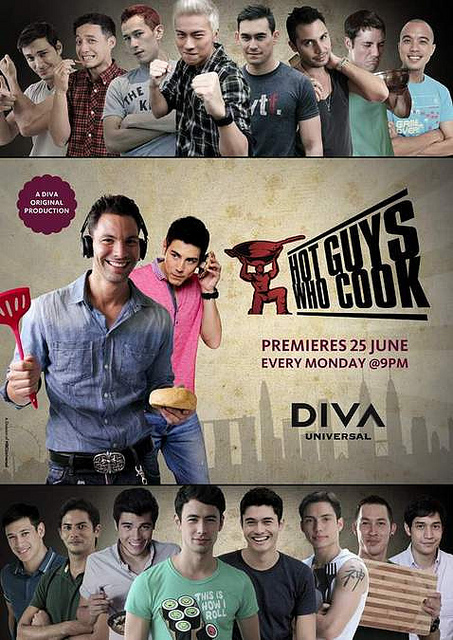 These 3 hot guys were given a task to cook Char Kuey Teow and I was lucky enough to be George Young’s sous chef. Yes, who is George Young? Many of you asked. When I first lay my eyes on him, I was like : Woah, where did he come from? Tall, nice hair, sepet eyes which I like, and he’s super super super funny. I cant stress that more. Funny. Being his sous chef that night was definitely a good experience as Ive never done anything like this before. Josiah then told me that George is actually an actor, host, writer and a lawyer in Singapore. George Young and Henry Golding are both from FLY Entertainment Artiste. 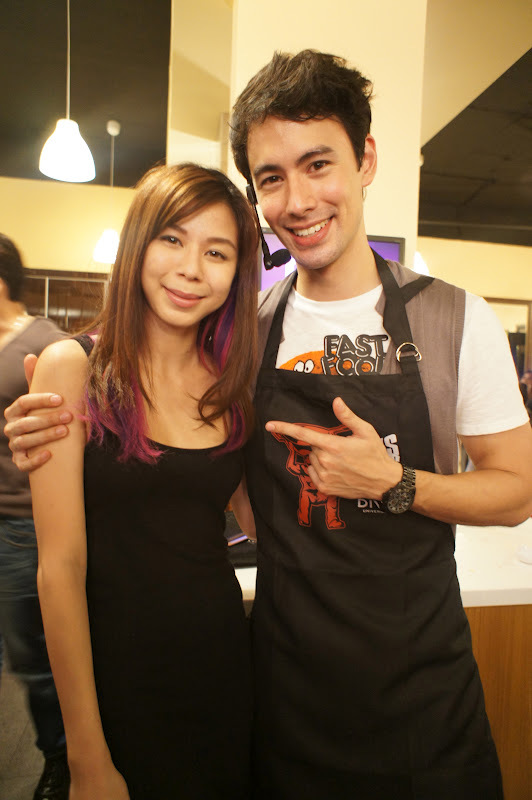 LIKE George Young’s FACEBOOK Page :) LIKED.